A HULL construction company has been praised for reaching a major industry milestone. 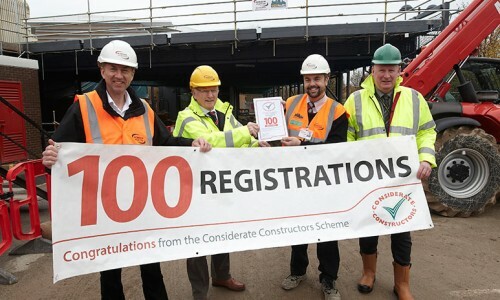 Hobson & Porter has completed 100 building projects under the Considerate Constructors Scheme (CCS), a barometer by which delivery standards are measured across the industry. The company achieved this milestone after undertaking extension works at Beverley Leisure Complex’s Tone Zone fitness suite – a project which forms part of East Riding Council’s YORbuild delivery framework. Mike Petter, chairman of the Considerate Constructors Scheme, said: “Many congratulations to Hobson & Porter Ltd for registering its 100th site with the Scheme – the Tone Zone Extension at the Beverley Leisure Centre. The CSS is the national initiative set up by the construction industry to improve its image. Construction sites and companies that register with the scheme are monitored against a Code of Considerate Practice, designed to encourage best practice beyond statutory requirements. 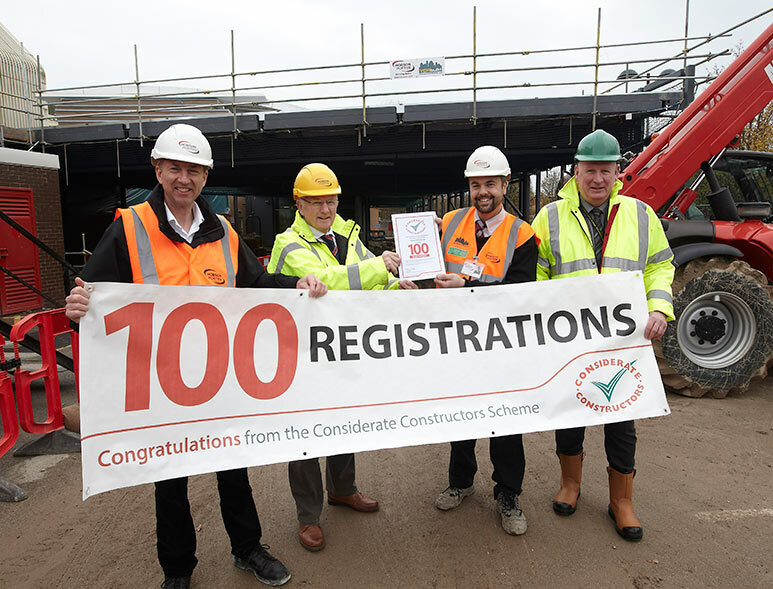 Dave Blades, Director at Hobson & Porter, said: “To reach the milestone of delivering 100 projects under the Considerate Constructors Scheme is a fantastic achievement and we are delighted the 100th build is on our doorstep. Work started on the extension in May after users complained the existing facility was too small. The new gym, which will have 90 stations, is expected to be completed early next year. The new gym, together with a car park extension and other improvements, represents a £1.2m investment by the council in improving and developing the complex.